My apologies to those who read my blog. I am now unable to do my blog because I am caring for my father with left-sided heart failure. My mind and my heart just isn’t into my blogging right now. 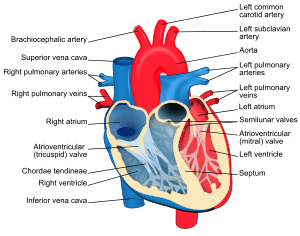 I decided today I would write my last blog for a while and explain what heart failure is and how it affects the patients life. My dad is eighty-five years old and up until two weeks ago he was still climbing onto a tractor and hauling a bale a hay to the cows. He was living alone and taking care of himself without any big problems. He began to complain of weakness, and experienced coughing and a rapid heart rate. My sister took him to the ER and he was diagnosed with pneumonia and atrial tachycardia. He was admitted to ICU and we did not know if he was going to survive. The pneumonia resolved after five days of antibiotics, but he had only 20% of his heart muscle functioning. He went from a totaling self-sufficient man to a man needing someone caring for him twenty-four hours a day. He is on oxygen constantly, and can only walk short distances. It was a life changing illness for my father as well as for the family. Left sided heart failure is often refered to as congestive heart failure. The left side of the heart pumps the blood through the body. If it is not working as it should then blood can’t circulate through your body. Your organs do not receive the blood and oxygen they need to function properly so everything is slowed. Extreme fatigue is experienced because of the decreased oxygen in the blood. The blood staying in the heart causes the veins in the lungs to dilate which then causes the lungs to be come congested with fluid. This is called Congestive Heart Failure (CHF). This will be my last posting for a while. My heart is with my dad, not my blogging, I have no intentions of stopping permanently. I will return when I can return home. 1. quotation marks signal to the reader some one is speaking. “Martha, I read the best book last night. It was wonderful.” Sometimes you will see writers use different punctuation from single quotation marks to brackets. Unless you have a very good reason for not following convention, it is recommended you do not vary. 2. Dialogue dictates one paragraph per speaker, no matter how short the speech. It makes it easier to follow the flow of the conversation. 3. Speech tags are used so the reader can know who is doing the talking. Most of the time we see, he/she said. Speech tags help the reader to gather his bearings, the way commas indicate a pause. Most of the time readers do not even notice you have use he/she said, unless you’ve used the word a thousand times. Readers have said the words become invisible. You just don’t pay any attention to them. You do not have to use speech tags with every line if the reader is aware of exactly who is doing the talking. If you had made it clear, Jack and Jill were the only people in the room, then their conversation would not have to have a tag with each line. As a writer there are certain expectations we have to meet in our writing for John Q Public to accept it. It is also a fact, that writers tend to push the envelope and not pay attention to conventional thinking. Sometimes it works and at other times it doesn’t. This video shows the importance of using conventions when writing. It mainly deals with grammar, but it is still writing conventions.